Kitchen tips is a brand new type of DINNERCAKES post where we’ll share some of the things we’ve learned and continue to learn along the way. Hopefully we’ll make all the mistakes so that you don’t have to! Even if you use a meat tenderizer or rolling pin it’s unlikely that you’ll be able to get a truly fine consistency throughout, but you’ll put in twice the work. Sometimes I still make my own crumbs for fun and so that everything is from scratch, but then I quickly remember it’s not that fun at all (and that my idea of fun is clearly a little off)! 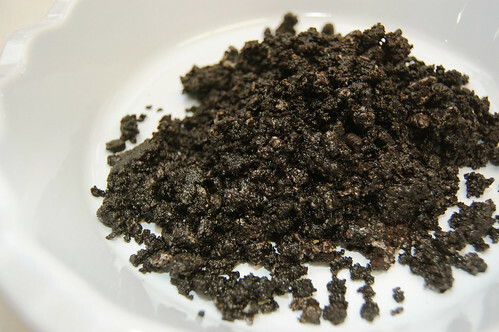 Note: The oreo cookie crumb photo shows crumbs that are NOT finely ground. I was lazy here, and my pie crust suffered for it! I also highly recommend using a food processor if you can’t find pre-crushed cookies or crackers. It’ll grind up everything into dust! Caps Red Army – YES! Thank you, I forgot about food processors since I’ve only had my own since Christmas. I already use it at least twice a week. I had no idea what I was missing – food processors destroy everything!